Now you can have something amazing in your home because this Speaker, Charger, And A Lamp In One is what you just need to get. This piece is amazing on your nightstand or a table in your home. It has a nice base where you can place your phone for wireless charging and you also control the light from there and the light is dimmable for the right amount of light. And if you like some music then you are in luck too as this is a Bluetooth speaker too so that you can enjoy your favorite tunes while relaxing at home. 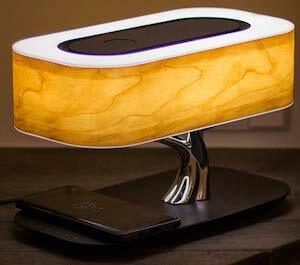 I would say come and have at least a closer look at this Speaker, Charger, And A Lamp In One.